Alisson Becker’s ability to act as a playmaker from deep is nothing new but the Brazil international added another fine goal contribution to his catalogue on Saturday. The goalkeeper’s anticipation, vision and technique allowed him to ping a volley out from his own area and launch the attack that led to Liverpool’s fourth strike in first-half stoppage-time. Alisson, who was beaten for only the eighth time in the Premier League when Ainsley Maitland-Niles netted on 11 minutes, left the field with 90 per cent passing accuracy. Carles Puyol played in an FC Barcelona side that conquered all and is therefore a wise judge of any team’s footballing talents. And the Spaniard summed up the ferocity of Liverpool’s first-half fightback at Anfield in a pair of simple but emphatic Tweets. 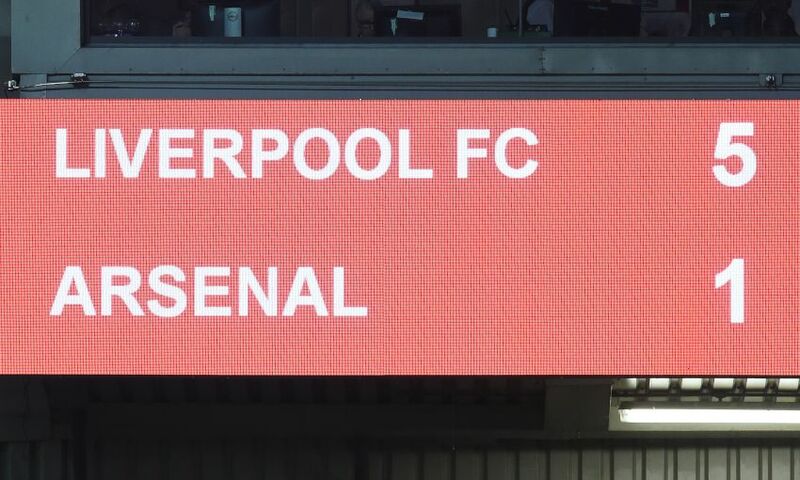 “OMG Liverpool…” Puyol posted after the second of Roberto Firmino’s quickfire double – a cool dribble through the Arsenal defence and unerring finish – overturned the visitors’ opener. “I love rock & roll,” he added in his assessment of the Reds. With his three goals past the Gunners, Firmino became the highest-scoring Brazilian in Premier League history with 43 – two ahead of Philippe Coutinho. It was the Liverpool No.9’s eighth strike against Arsenal for the club and ended an unusual wait for a home league goal for the enigmatic forward, who kicked off his hat-trick with a no-look finish. 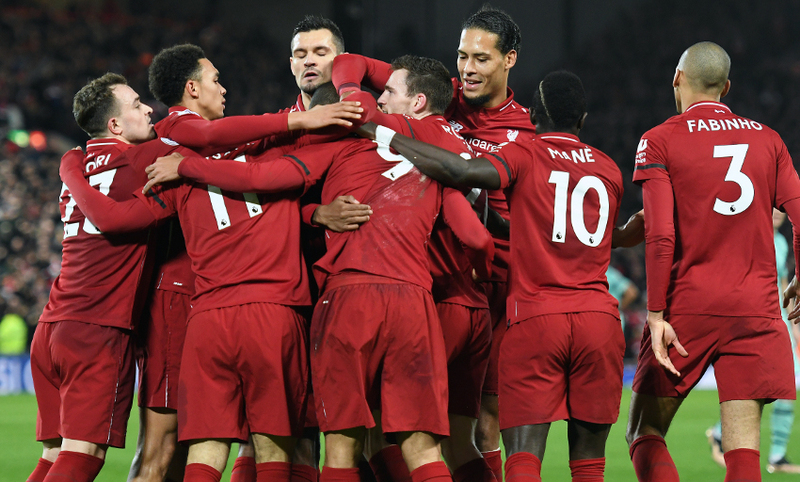 The second of the treble was the high watermark of the game, however, as Firmino danced through a succession of tackles at speed and produced a composed slot beyond Bernd Leno. The words of Jürgen Klopp when asked in a post-match interview about the possibility that Georginio Wijnaldum does not always get the praise he deserves. Liverpool’s No.5 was a formidable force in the centre of the pitch against Arsenal, contesting more duels (15) than any other player and winning 73 per cent of them. The Dutchman drove his team forward, too, recording the highest passing accuracy in the opposition half (85 per cent) of the Reds’ starting XI. Mohamed Salah’s appetite for goals broke new ground last season when he scored a Premier League record of 32 in a 38-game season. The Egyptian is in the running for the Golden Boot again this term, tied on 13 with Pierre-Emerick Aubameyang and Harry Kane after the last round of fixtures. But Salah put that to one side when the Reds won a second spot-kick of the evening and handed penalty responsibilities to Firmino to seal his hat-trick.